Just a 10-minute walk from Princes Street and 500 yards from Haymarket Station, CityLivein is conveniently located for many of Edinburgh’s popular sights, including Edinburgh Castle and the Royal Mile. Offering some of he best value accommodation in the city centre, the property has 321 double rooms and studios that are furnished throughout in a colourful contemporary style. For your convenience there is also a 24-hour reception desk and fast wi-fi. Furnished in a contemporary style, CityLivein Grove Street’s rooms all have wooden floors, flat-screen TVs and private bathrooms, studios also feature kitchenettes with microwaves, fridges and kettles. 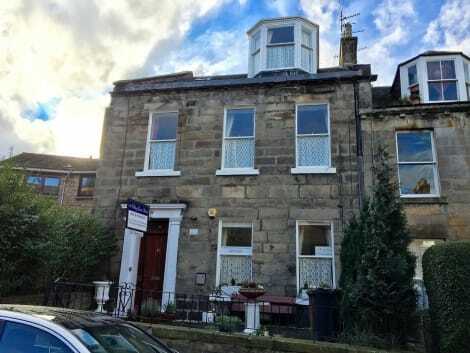 Open only in July and August, this accommodation is the perfect city centre 'value for money' option for exploring Edinburgh and enjoying the Festival. Luxurious, relaxed and unlike anywhere you’ve ever stayed before, the Dunstane House is a family-run five-star boutique hotel that brings a breath of fresh Orkney air to the heart of Edinburgh. 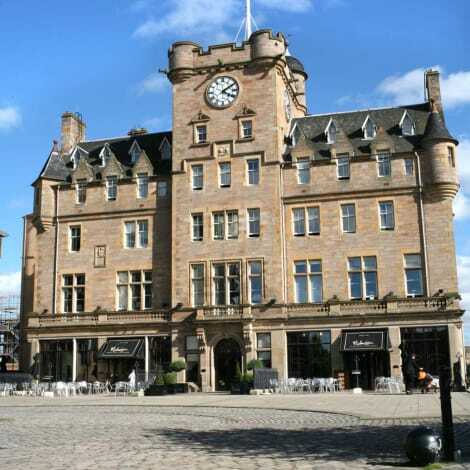 In a peaceful corner of the West End, a short walk from Haymarket and 15 minutes’ drive from Edinburgh airport (on-site parking is available), Dunstane House is an independent, 16-bedroom boutique hotel in a stately Victorian townhouse, and the sister hotel of Hampton House across the road. Dating back to 1865, but inspired by the best of modern-day Scotland, the hotel combines heritage good looks with warm, personal service and a fresh, contemporary outlook. Bedrooms and interiors have been stylishly redesigned to pay tribute to the building’s neoclassical character and the owners’ Orcadian heritage, without compromising on modern comfort. All rooms include free WiFi, large Samsung smart TVs, Roberts digital radios, 300 thread count Egyptian cotton bedlinen on hand-made Vispring beds and ensuites with Noble Isle products, and Luxury King Doubles and Orkney Suites include Nespresso coffee machines and luxury fluffy bathrobes and slippers. 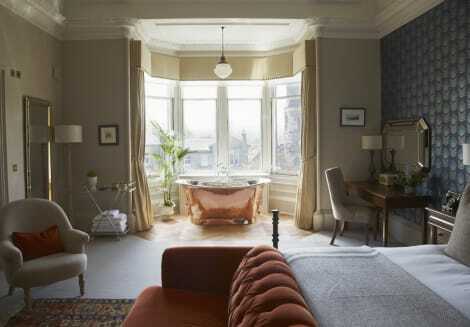 Four unique and spacious Orkney Suites offer dramatic features such as four-poster beds, freestanding copper roll-top baths in the bedroom, or sweeping views over the Edinburgh cityscape. Within easy reach of all the attractions of old-town Edinburgh, Dunstane House is a stylish and welcoming city retreat with an authentic Scottish soul. Located just a short walk from Princes Street, Edinburgh Castle, the Old Town, Grassmarket and EICC, this 4-star luxury hotel is ideal for leisure guests and business travellers alike. The hotel is family-friendly and has elegant, spacious and comfortable rooms, plus a free stay for kids under the age of 16. Complimentary wifi and superb leisure, including a pool, sauna, jacuzzi, gym and spa, make this the perfect city centre hotel. The hotel restaurant serves delicious international cuisine. Please note work will be ongoing refurbishing some of the hotels bedrooms until 1st June 2018. Work is planned and conducted to minimise any disturbance to hotel guests. 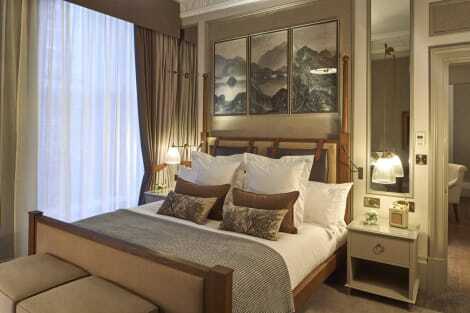 This 4-star hotel, in the heart of Edinburgh, is only a short walk from Haymarket Train Station and the King’s Theatre. The hotel has a restaurant, bar, a buffet breakfast service, sports facilities including a gym and tennis courts, and wifi throughout. 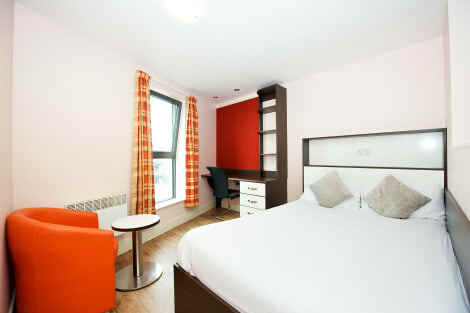 Stylish rooms have Apple TVs, free wifi, tea and coffee making facilities, and en-suite bathrooms with free toiletries. A stylish Edinburgh hotel next to Edinburgh Zoo, with an indoor pool and a fitness centreNear the M8 motorway, Holiday Inn® Edinburgh hotel is handy for the city centre and all its attractions.You can take a tour of the 16th-century, antique-furnished rooms at Holyrood Palace, official Scottish residence of the Queen, just a 20-minute bus ride from the hotel, or cheer on a game at Murrayfield Stadium, which hosts Scotland's rugby union home matches. The high street shops of the modern Gyle Shopping Centre are 10 minutes away by bus, from the stop just outside the hotel. Haymarket train station, also a short bus ride away, is served by trains across Scotland and the north of England. Here for work? You're a 10-minute drive from Edinburgh Park–based companies, or you can host meetings at the hotel in 14 flexible conference spaces with panoramic views.At this hotel you can enjoy:- Free WiFi- Free on-site parking- 24-hour room service- Kids stay and eat freeEach welcoming room has a flat-screen TV and a pillow menu. Look forward to an invigorating power shower in the morning, or get energised with a visit to the well-equipped fitness room or indoor pool. Relax at day's end in the spa or sauna, then dine on European cuisine in the hotel's casual restaurant and chat over drinks in the relaxed lounge bar. 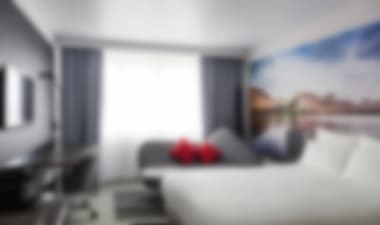 Discover the next generation of smart, value-focused hotels at The Haymarket Hub Hotel, a contemporary, innovatively designed smart hotel in Edinburgh for savvy business or leisure travellers who want to connect, recharge and explore this fabulous city on their own terms. 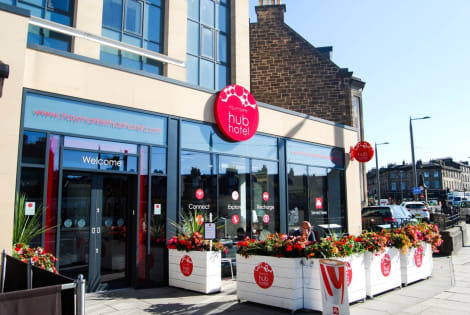 Find yourself at the epicentre of city life at Haymarket Hub Hotel, located right in the heart of Edinburgh city centre and directly across from Haymarket Train Station and the Edinburgh airport tram stop at Haymarket. Just a short stroll from the chic West End and the concerts and sporting events at Murrayfield Stadium, the shops of Princes and George Street, the handsome New Town and historic Royal Mile and Old Town. Guest rooms have been designed to offer everything you need and nothing you don’t, eliminating the unnecessary fluff that leads to higher room rates. The 189 easy-access guest rooms showcase clean, minimalistic lines, contemporary designs and luxurious pillow-top beds from Hypnos. All rooms are compact, but efficiently laid out to maximise functionality, perfect for relaxing after a day of travel, meetings or sightseeing, there’s in-room Sky TV to catch up with the day’s news, films or sport.​ Other rooms amenities include hairdryers, safety deposit box, desk, USB charging plugs, superb power showers and indulgent toiletries that will revive and recharge you. Enjoy the tech-savvy perks like free WiFi throughout the hotel and free smartphones for use during your stay, which make this Scotland’s first “smartphone hotel”, free data and no-charge UK and international calls to ten countries. Bring your passion for urban adventure and discovery to the Haymarket Hub Hotel and we’ll show you Edinburgh like no other hotel can. The Mercure Edinburgh Haymarket hotel is ideally located in the heart of Edinburgh, making it the perfect base for guests looking to explore this historic city. This stylish 4-star hotel provides all the comforts of home and more, with spacious rooms and plenty of on-site faculties such as a fitness centre and more. With easy access to the Edinburgh International Conference Centre (EICC) and Haymarket train station, the hotel is ideal for guests looking for style and convenience. 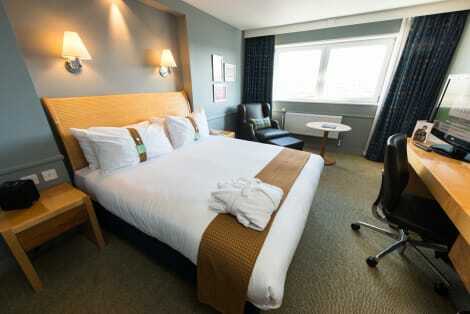 A modern Edinburgh hotel in a Georgian building within walking distance of the city's top attractions Holiday Inn Express® - Edinburgh City Centre hotel is a 10-minute walk from Edinburgh Waverley station in the city's New Town. It's a short stroll to the York Place tram stop, which has a direct connection to Edinburgh Airport (EDI). The Edinburgh Playhouse theatre and OMNI Edinburgh's restaurants and cinemas are right across the road. Princes Street and George Street's shops are a few minutes' walk away. You can ramble over the ramparts of Edinburgh Castle, 20 minutes' walk from the hotel. Or experience more royal flavour, less than a mile from the hotel, at the Palace of Holyroodhouse, the Queen's official Scottish residence. Amble through the expansive Royal Botanic Garden Edinburgh, half an hour on foot from the hotel, or wander into Princes Street Gardens to spot the huge floral clock. Business guests are on the doorstep of the financial district around St. Andrew Square and George Street, while the Edinburgh International Conference Centre is less than 10 minutes' drive away. The hotel has a smart meeting rooms. Enjoy free Wi-Fi and an inclusive hot Express Start Breakfast. A nearby Fitness Centre is available to guests. Unwind after a busy day's sightseeing over a cool beer in the lounge bar. The grand 4-star Malmaison Edinburgh is a stone’s throw away from the Royal Yacht Britannia and a short drive from the city centre. Inside this boutique hotel is a gym, Brasserie (serving traditional British dishes), and the chic Mal Bar. There’s also free parking onsite and free wifi to boot. 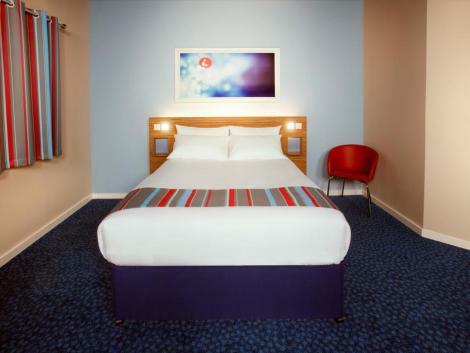 Stylish, en-suite rooms have flat screen TVs, free wifi and a hot drinks facility. The Waldorf Astoria Edinburgh - The Caledonian – ‘The Caley’ as it’s known by locals - is an Edinburgh institution. Once a grand Victorian railway hotel, it opened in 1903, above the now closed Princes Street railway station. Generations of visitors from near and far have enjoyed had unforgettable moments in the hotel for everything from such as choosing discovering a favorite whisky in the Caley Bar, to being married in lavish style. Champagne Afternoon Tea has become a local tradition, served daily in stunning surroundings. Admire the hotel’s original entrance from Princes Street, against the backdrop of the world famous Edinburgh Castle. With its central locale and proximity to boutique shopping on George Street, the best of Scotland’s golf courses, the Edinburgh International Conference Centre (EICC) as well as onward local & international transport links, this Edinburgh city centre hotel makes an elegant setting for visitors, business travelers & events alike. The classically styled rooms with understated quality make your stay comfortable. Whilst the chic, oak paneled boardroom can eloquently host briefings and the stunning Castle Suite boast the most elegant interior of any ballroom in the city Edinburgh and can entertain 250 guests for conferencing and cocktails. 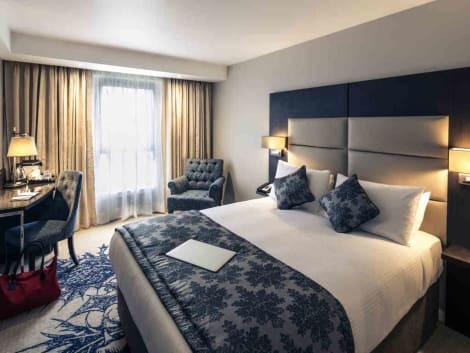 The Waldorf Astoria Edinburgh - The Caledonian hotel is walking distance to Edinburgh International Conference Centre (EICC) as well as only minutes from the designer stores and boutiques on George Street. The Castle Suite entertains 250 guests for conferencing and cocktails. The ‘Caley’ has a full suite of wedding packages, tailoring both intimate gatherings and grand celebrations. A fully licensed venue for marriages and civil partnerships, Waldorf Astoria Edinburgh - The Caledonian Hotel provides a magical setting for the most special of days for unforgettable moments. A hearty Scottish welcome waits for you at the 3-star Edinburgh House Hotel, situated less than one and a half miles from Edinburgh Waverley rail station and the city centre. The cosy rooms are a stone’s throw from Princes Street, Edinburgh Castle and the Royal Botanic Gardens, and all come with a TV and coffee and tea making facilities. Enjoy a continental breakfast in the morning before heading out to explore beautiful Edinburgh. Make yourself at home in one of the 10 guestrooms. Complimentary wireless Internet access is available to keep you connected. Conveniences include phones, as well as coffee/tea makers and irons/ironing boards. 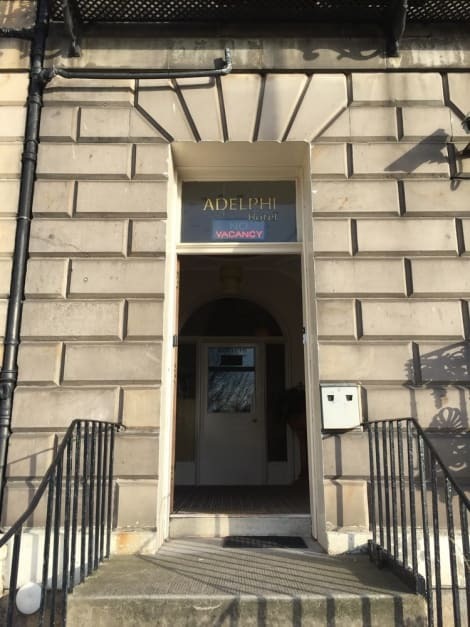 With a stay at Leith House in Edinburgh, you'll be within a 10-minute drive of Princes Street and Edinburgh Playhouse Theatre. This guesthouse is 1.3 mi (2.1 km) from Royal Mile and 1.3 mi (2.2 km) from George Street. The 2-star Britannia Edinburgh Hotel is located on the banks of the Water of Leith River, set in the picturesque West End of Edinburgh city. The hotel restaurant offers a modern and warm place to grab some breakfast or to wine and dine, or you can relax in the bright and contemporary 24-hour bar. On site, guests can benefit from free wi-fi throughout, car parking and separated smoking rooms. Each room is equipped with a TV and tea and coffee making facilities. 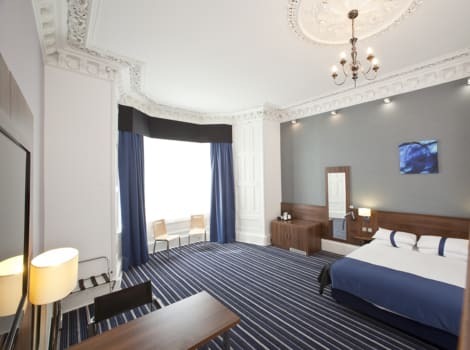 Named after the architect who built it in 1845, 3-star Piries Hotel is a Grade II listed Victorian building in the centre of Edinburgh, full of history, character and charm. 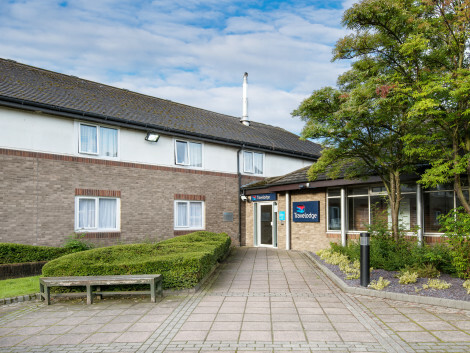 Ideal for business travellers, the hotel is close to Edinburgh airport. Comfortable rooms have wonderful high ceilings, and are fitted with satellite TV and a telephone. You can keep connected during your stay with the wi-fi in public areas and grab a malt whisky from the bar while you surf the net. With a stay at 16 Pilrig Guest House in Edinburgh, you'll be within a 15-minute walk of Princes Street and Edinburgh Playhouse Theatre. 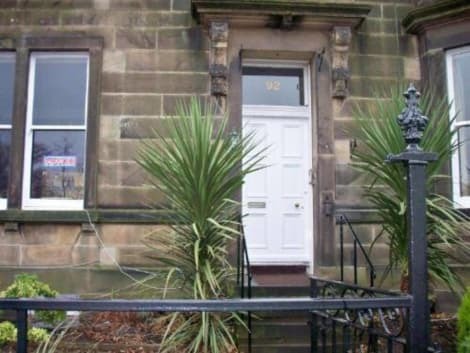 This guesthouse is 1.1 mi (1.8 km) from George Street and 1.2 mi (2 km) from Royal Mile. Famous for its breathtaking landscape, architecture, and many cultural attractions, Scotland’s capital is a must-see destination, and with Edinburgh hotel deals just a click away, there’s no better time to visit this fascinating city. The historic Edinburgh Castle dominates the skyline and offers magnificent views over the city. It’s also host to a number of events throughout the year, the most famous being the Edinburgh Military Tattoo, when pipers and military bands from around the world perform, followed by a fireworks display. To the east of the castle is Arthur’s Seat, the largest peak of a dormant volcano and the site of a well-preserved hill fort. Even with some of our hotels in Edinburgh city centre, natural beauty spots outside of Edinburgh can easily be visited as part of a daytrip. With bus tours taking in Loch Ness and Glen Coe, amongst other famous sites. If you’d rather explore Edinburgh further, there are plenty of walking and bus tours to choose from. We particularly recommend one of the spooky ghost walks, to get you acquainted with the many spirits that haunt Edinburgh’s dark corners. The city is host to various annual festivals, including the Edinburgh International Festival, the Edinburgh International Book Festival, and the Edinburgh International Film Festival. Perhaps the most famous of these is the Edinburgh Festival Fringe, the world’s largest arts festival, featuring dance, theatre, music, and comedy from both up-and-coming talent and established stars such as Harry Hill, Jo Brand, and Jimmy Carr. 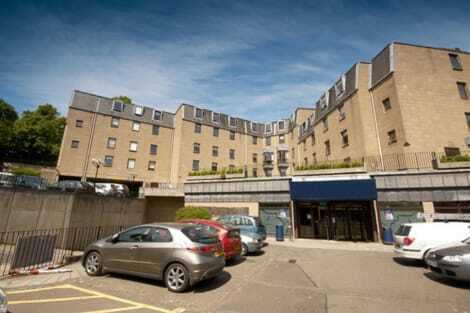 Hotels in Edinburgh tend to fill up quick during the Fringe season as the event attracts many people from far and wide. As equally famous, is Edinburgh’s Hogmanay, when the city celebrates the equivalent of New Year’s Eve in style with a big party on Princes Street and elsewhere, involving fireworks, concerts, dancing, and processions. As with the Fringe, Edinburgh hotels can be very busy during this period, with thousands of visitors arriving from all over the world. Cheap hotels in Edinburgh can sometimes be found during this time, however. Even when not in festival season, the city has plenty of venues to offer theatre shows and other art performances and exhibits. These include the Royal Lyceum Theatre, the King’s Theatre, and the Edinburgh Playhouse Stage, featuring hit shows from Singin’ In The Rain, West Side Story, and Rock of Ages, to popular children’s fare such as pantos and Peppa Pig. Art fans are also well catered for, as Edinburgh is host to Scotland’s five National Galleries of art, including the National Gallery of Scotland, the Royal Scottish Academy, the Scottish National Gallery of Modern Art, and the Scottish National Portrait Gallery. Equally as impressive are the city’s many museums, including the Museum of Edinburgh, the Museum of Childhood, the National Museum of Scotland, and the National War Museum of Scotland. Foodies in Edinburgh will have their fill with a wide selection of tea rooms, cafes, bars and restaurants to cater to any taste and budget. Enjoy traditional fare such as haggis at The Walter Scott Tearoom, award-winning fish and chips at the L'Alba d'Oro on Henderson Row, or fine dine at Michelin-starred restaurants such as The Kitchin, which serves up the best of seasonal, Scottish produce including fish or cheese courses. Edinburgh has a vibrant nightlife and music scene on offer at a range of bars, clubs and other dedicated venues. Many city pubs have live music nights, particularly folk music, which can be heard at Sandy Bell's in Forrest Road, The Captain's Bar in South College Street, and many others. For larger events, there’s The Corn Exchange, The Liquid Rooms, and the Bongo Club which between them have hosted an array of famous acts, including Blur, Radiohead, Dizzee Rascal, De La Soul, and many more. Traditional Edinburgh pubs are also a great place to just enjoy the atmosphere and sample a wide range of quality real ales and spirits, in addition to hearty, local food. Just off the Royal Mile is the Arcade Bar, which specialises in both whisky and haggis, while Thomson’s Bar on Morrison Street serves real ale and delicious pies, in antique, pub décor surroundings. For those that want to party into the night, the city has many nightclubs, including Espionage, Lulu, and Stereo, that are popular with students, locals, and tourists alike. Just strolling through the streets of Edinburgh is a rewarding experience in itself, as you take in the grandeur of its historical architecture, you’re never usually far away from the drifting sounds of bagpipes or another entertaining street performance. Whisky connoisseurs will not want to miss the Scotch Whisky Experience, a guided tour around a distillery with a chance to sample fine single malt whiskies along the way. Horrible History fans can have their appetites sated by a visit to the Edinburgh Dungeon, where a whole host of actors, sets, and effects recreate the more gruesome aspects of Scotland’s past. When you need some rest and tranquility, Edinburgh Zoo is a great place to chill out, with beautiful parklands and an impressive variety of animals, including the UK’s only giant pandas.